It is the final day of Craft Lightning and I have some more fabulous Halloween quick craft features for you today. Stay tuned as this weekend I will round up all of the ideas for you…you don’t want to miss it! In case you are impatient, you can visit the round ups from day 1, day 2, day 3, and day 4. Now lets see what day 5 has in store. First up is this super easy houndstooth pumpkin from Dreamsicle Sisters that will add a modern splash to any of your seasonal decor. Can you guess what it is made out of? 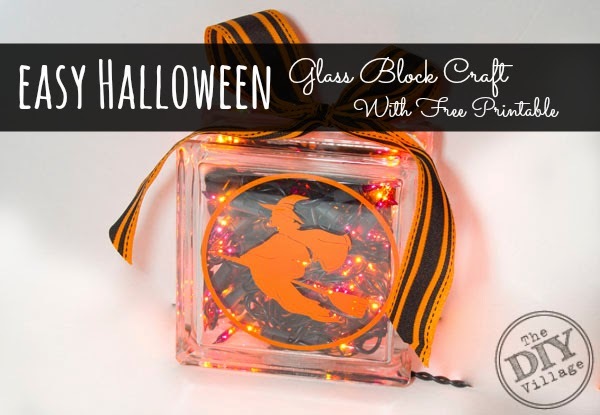 Add some light to any Halloween display with this Halloween glass block from The DIY Village. I adore these lights! I love a good bottle or jar craft and upcycling rocks. 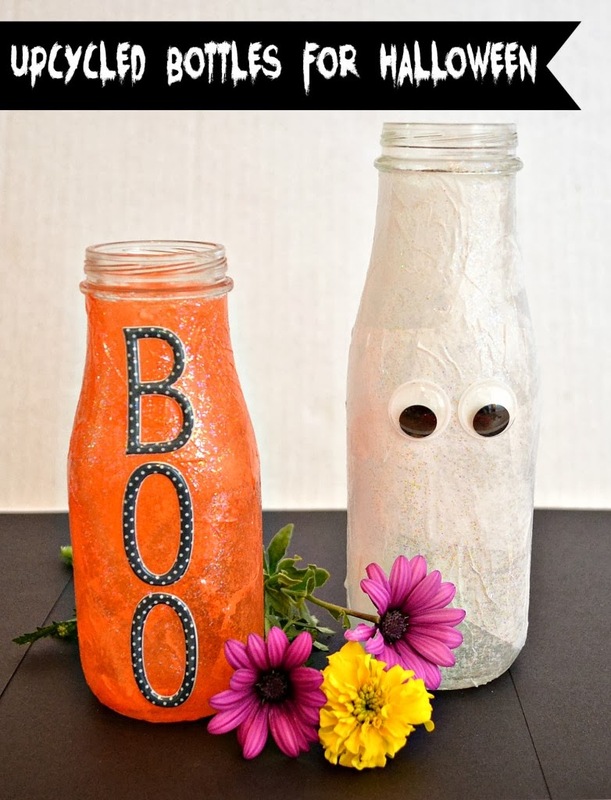 These upcycled Halloween bottles from One Artsy Mama are the perfect addition to a festive seasonal table. 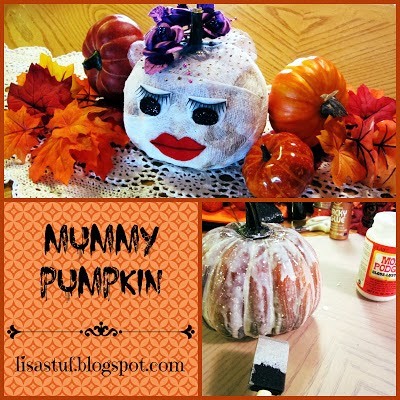 Every mummy pumpkin needs eyelashes and red lips y’all.. Or at least this one does! 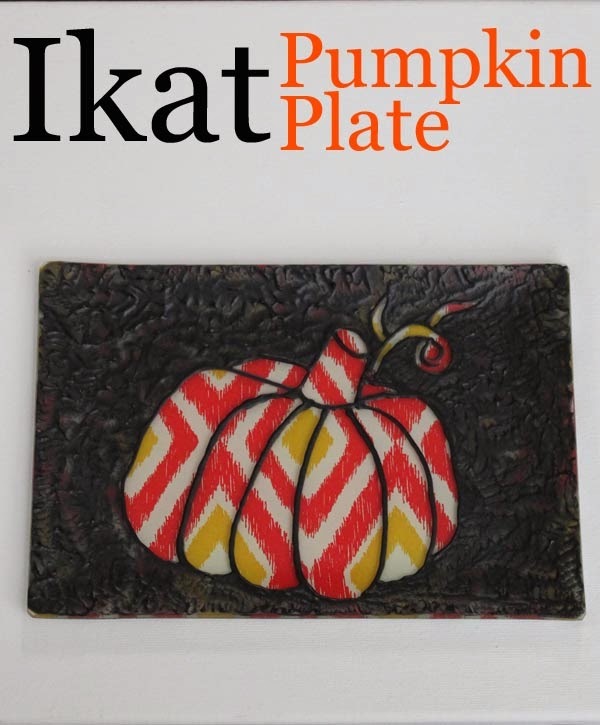 Head over and get the instructions for making your own from Lisa. 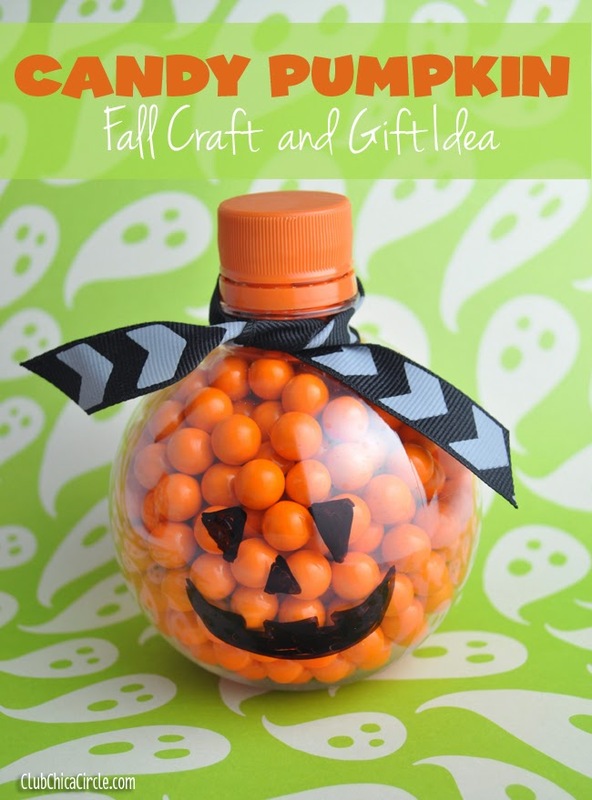 How about a quick craft that you can get the kids involved in? Mr. Bones the paper plate skeleton from Mom Endeavors will have the kids jumping for joy. I have now deemed Cyn the queen of toilet paper crafts. 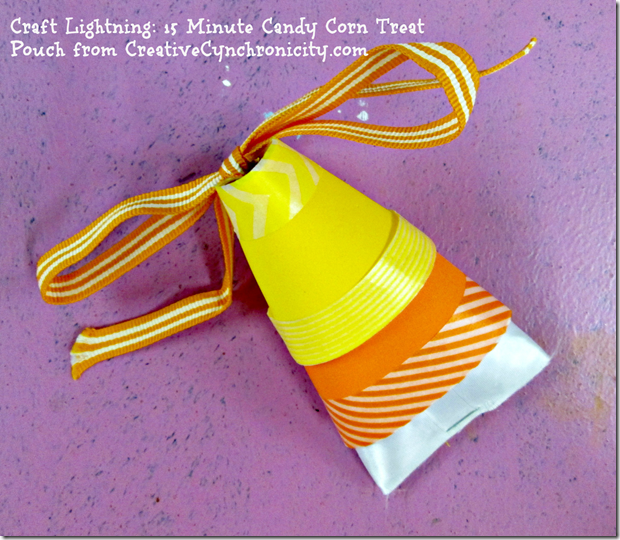 Yes this candy corn treat pouch from Creative Cynchronicity is made from a toilet paper roll. Yea I would have never guessed either…see…she is the queen! 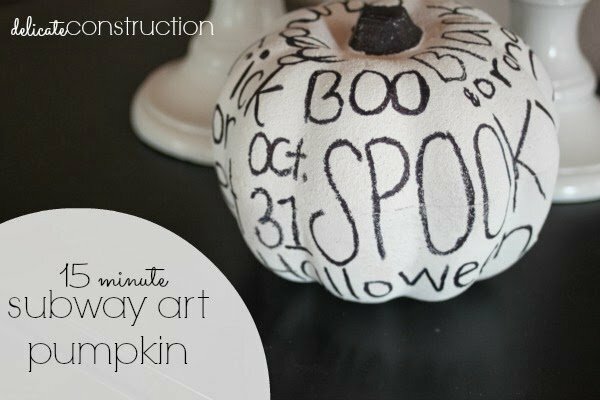 Let the subway art trend continue year round with this subway art pumpkin from Delicate Construction. The white and black color scheme is what I am loving. Now for our last linky party feature, these candy pumpkins from recycled water bottles at Club Chica Circle are great ideas for Halloween favors. My partner for this series Carolina of 30 Minute Crafts shared this ikat pumpkin plate craft that is just adorable. This one is so simple you are going to think….why didn’t I think of that?? 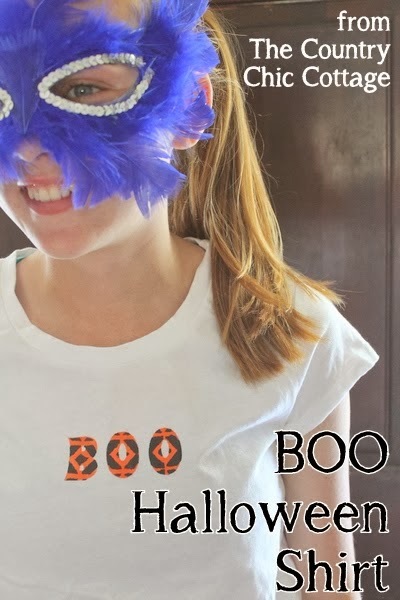 And finally if you missed my Halloween quick craft this morning I made a hand painted BOO Halloween shirt that is super easy to make. Be sure to follow along with my quick and easy crafts Pinterest board so that you never miss any of the fun. I hope you enjoyed this super spooky edition of Craft Lightning as much as I did. Now get to crafting! previous post: BOO Halloween Shirt — paint your own shirt! Thanks for the feature! 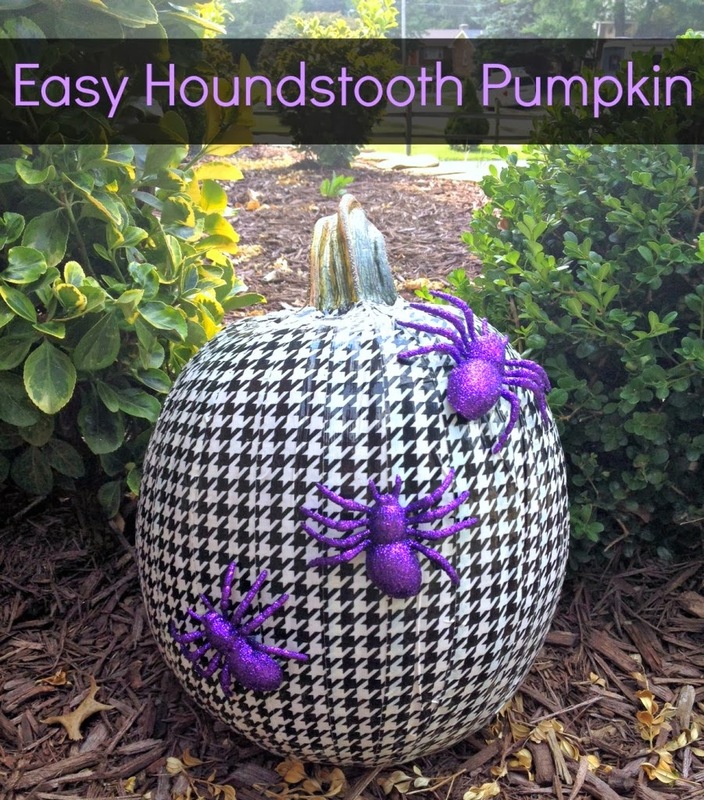 Great round up of quick Halloween ideas.